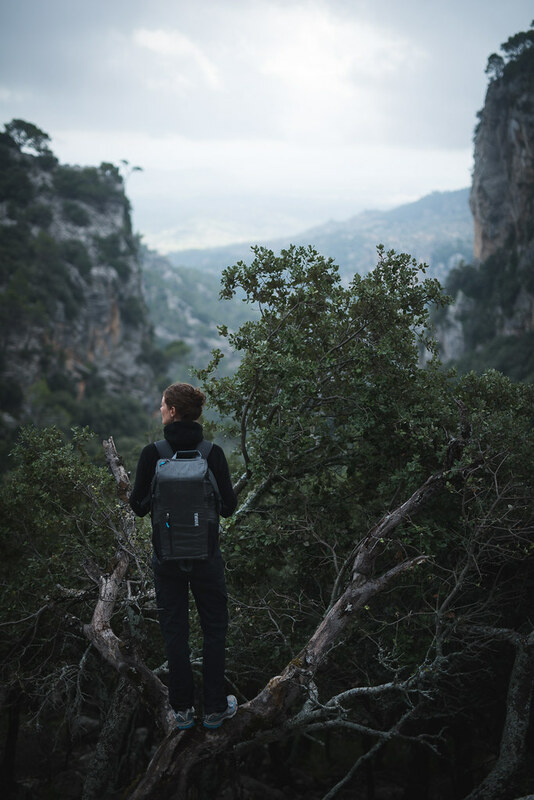 In need of a backpack for all your photography gear? 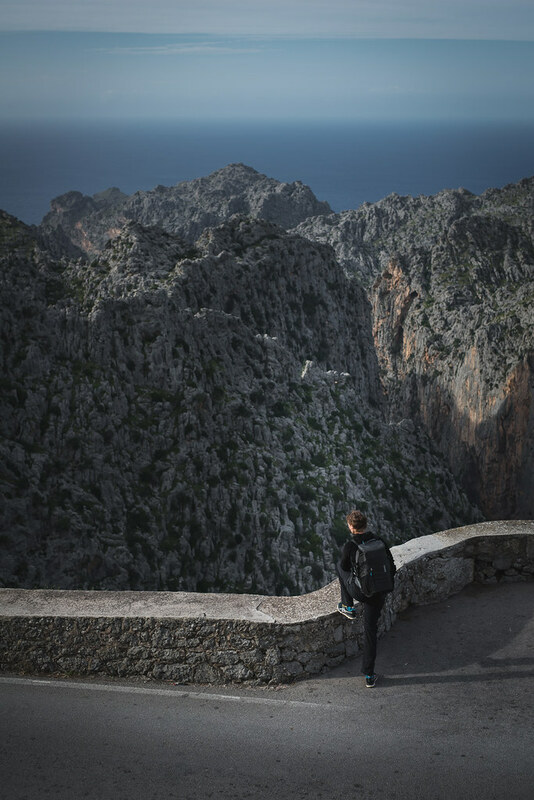 My friend Vincent Kleine reviews the Thule Perspektiv Backpack, a great pack for your outdoor photography needs. Hi everyone, I’m Vincent – I’m an outdoor and adventure photographer currently based in Hamburg, Germany. I’ve known Hendrik for a while now and earlier this year he asked me if I was interested in testing one of the rather new photo bags from THULE and share my observations with him. Sure! The following are my impressions after having used the Thule Perspektiv Backpack on several outings from May to November. Thule is a brand that most people including me probably still associate with transportation solutions for cars - mostly bike racks and roof cargo carriers. But their portfolio is indeed more versatile than that. The company was founded in 1942 in Sweden and has gone public in 2014. 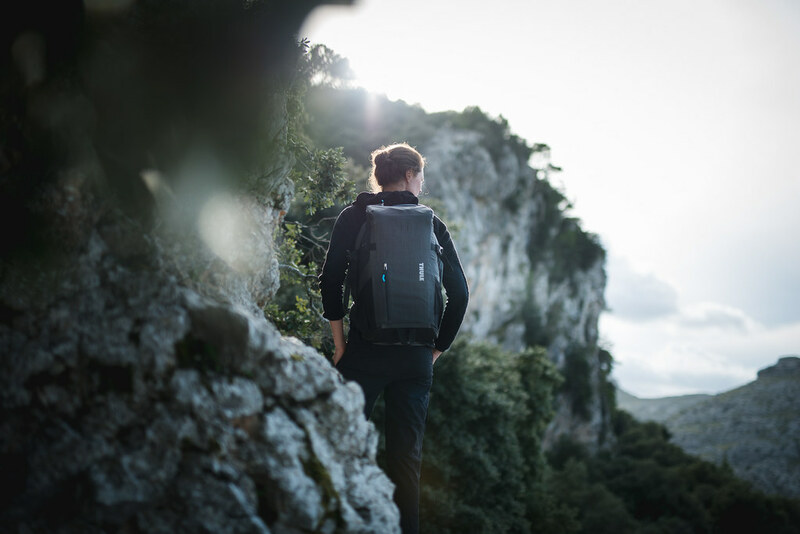 A couple years ago Case Logic was acquired by the Thule group and by around 2010 Thule started selling bags under their own brand. First general purpose bags, followed by bike bags and since 2013 photo bags. There’s toploaders, shoulder bags and backpacks and the Perspektiv Backpack is the biggest of the lot and it’s the one I chose to use. For everything that takes place close to a car or similar, Peli cases offer a bombproof pack-and-forget mode of transportation but are obviously not supposed to be carried around for too long. On longer, self-sufficient outings in the backcountry where you have to bring all gear and food for up to 2-3 weeks I try to stay as light as possible and look for solutions that enable me to access camera gear at any time without having to set down the backpack which would be time consuming and annoying. Plus, it needs to be not only waterproof but watertight in case I trip during a river crossing. I usually end up with a selfmade chest-carry solution in this scenario. Holds 1-2 pro DSLRs and a couple lenses including 70-200 2.8 class. Multitude of pockets to organize gear. I won’t indulge in a detailed description and discussion of materials or technical details - the product shots from the manufacturer provide a good overview about how it is conceived. What I’d like to concentrate on instead is how that translates into practical application for me. What struck me first was the structural integrity. It shows a level of rigidity that I was surprised to see in a soft-case. Especially the base of the bag is extremely solid. In conjunction with the tough, water-repellant face fabric and welded seams it certainly provides a lot of confidence. The three exposed zippers (with pull cords) have waterguards like you find on many hardshells. They are for sure not permanently waterproof but they provide a significant barrier that should be enough for most downpours. It is not a drybag and thus not watertight but I never really bothered to put on the supplied rain cover (that is conveniently stored within the pack) even during hours in the rain. 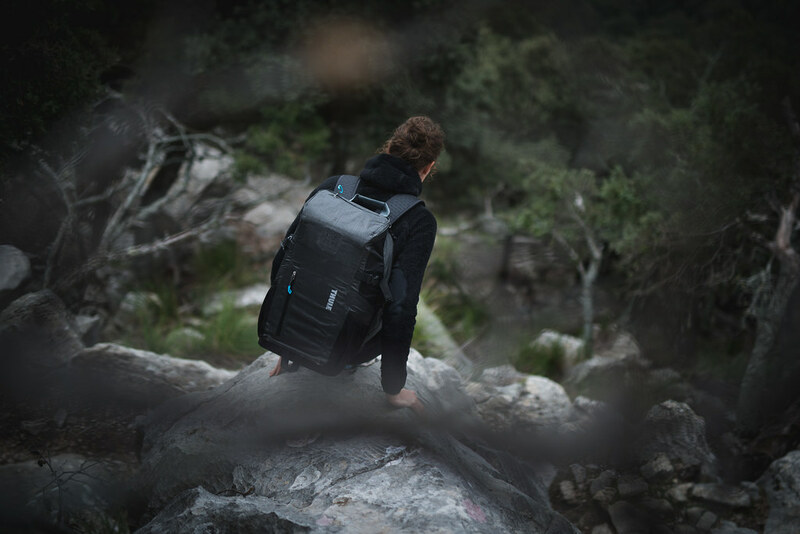 With many backpacks that offer a high degree of water-repellency, the weakest point probably is the backside where water may enter between the pack and the user’s back. To mitigate the problem Thule opted for some sort of rain flap that covers the underlying main zipper and thus the vulnerable backside to some degree. In short: I personally would not worry too much about water coming in if the pack is not submerged. Which is really good! There’s two main compartments. In the top you’ll find a small stable box-like compartment that is handy for keys, mobile phone, accupack, a snack or anything that you’d like to be able to access without having to open the main compartment. It’s nice. The main compartment is being accessed via the backside so you need not worry about thieves behind your back. Plus if you rest the pack in a puddle of mud the side that gets in contact with your back stays dry and clean. In the outdoors that does not matter but there may be some cases in civilization where it is beneficial. A padded laptop sleeve is integrated into the lid. The hip belt is attached to the lid – to fully open it you have to pull the zipper around one of the hip belts. Not a problem per se but worth mentioning. Within the main compartment you’ll find the usual user-adjustable velcro interior in bright blue - which is nice. On the inside of the lid you’ll find two clear pockets with a lot of space for cables, filters and stuff. Inside one of the pockets there’s even CF and SD card mini-pockets that are attached via velcro. I store my cards in a crash and waterproof case so I never used these but it shows attention to detail that you’ll recognise in many small aspects such as the foam padded carry handle. Inside the main compartment the padding is rather stiff. People who are extremely careful with their gear might find it to be too thin and hard for their liking - It’s perfectly fine for me. The pack carries reasonably well. The stiff structure in conjunction with proper shoulder straps, a decent hip belt and some padding around the shoulders and the lumbar area create a good carrying system. The downside for me is that it’s one size. At 1.88m I’d say it’s a bit too small for my torso in backcountry backpack terms. It’s not too much of a problem here because the loads that are being carried are never excessive but it feels like the sizing somewhat deteriorates an otherwise well-conceived carrying system for taller people. You’ll have to find out for yourself by trying it. The bag is designed strictly as a photo bag. All additional stuff you might like to bring with you, from a fleece jacket to food, water etc. has to fit inside the photo compartment (the two elastic outside pockets will hold 0.5 l each if you don’t have anything else attached to the sides). In this regard it is certainly not as flexible a system as F-Stop gear provides where backpack and camera storage are two separate items that can be combined depending on the mission to make room for e.g. overnight equipment. This of course limits the Thule to daypack-use - which is perfectly OK because it does really well in this regard and would otherwise sacrifice carry-on compatibility. That does not mean that you can only carry camera equipment in there of course. Most of the time I had a camera body, 2.8 telephoto and super-wide-angle zooms and two fast primes with me. That leaves enough space for water, a few snacks, an insulation jacket and rain gear. Or for two jumars, Grigris and a couple carabiners and the climbing rope attached to the outside of the pack. While that might not be ideal is is entirely possible. So how do I break it down? Generally speaking the Thule Perspektiv Backpack meets very high standards when it comes to materials and construction. Everything has a quality feel to it and shows pleasant attention to detail. It offers all the protection, flexibility and carrying capabilities. On an aesthetic sidenote: The reduced, minimal, technical yet elegant design really appeals to me. However you load it it never shrinks or crumples but always stays rigid and tight. Would I recommend it? 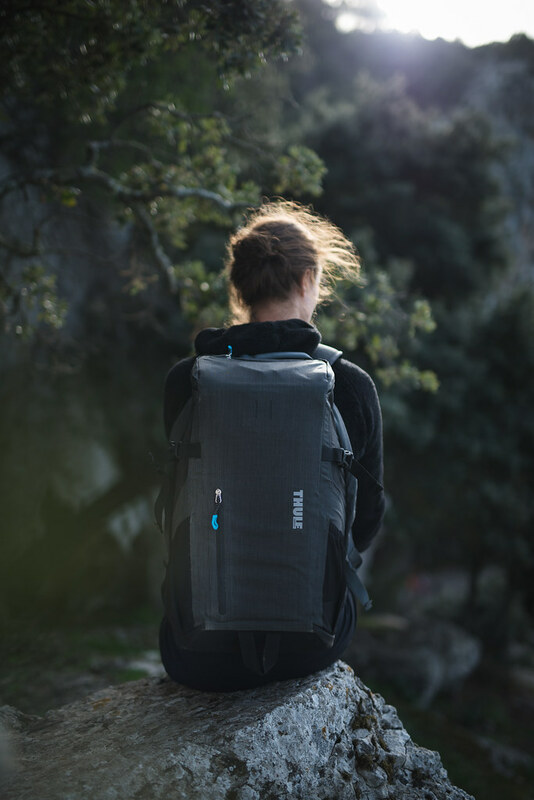 If you don’t plan on going over night and need not bring huge loads of additional non-photographic gear then the Thule Perspektiv backpack is a premium choice that will serve you really well. Being able to carry everything of value – from camera to laptop in your carry-on luggage is a big plus. 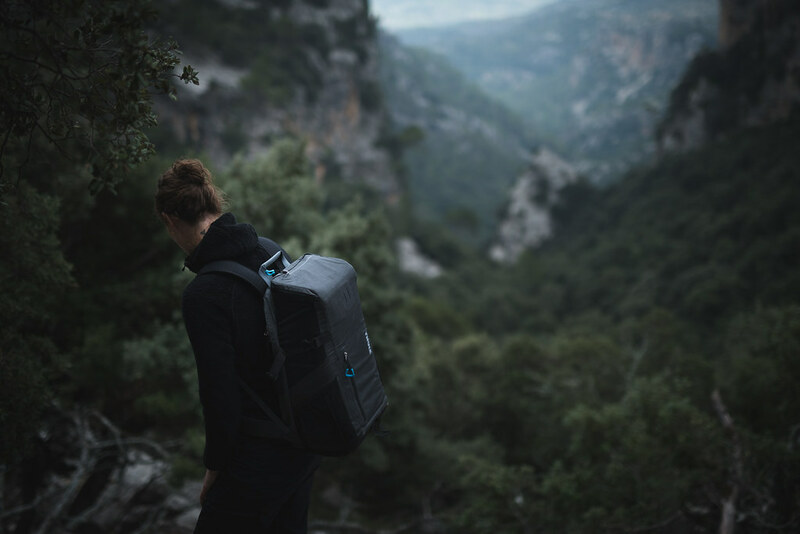 If you need a backpack for longer outings with overnight gear or a lot of technical gear, then you want to look somewhere else, because that’s just not what it was designed for. I really like it and I’d suggest you take it into consideration if you’re looking for a camera backpack for day-use. It certainly is expensive but features a sense of quality in concept, material and construction that I feel meets the asked price. You can get it at Amazon, Bergfreunde and Campsaver. Vincent Kleine is an adventure photographer based in Hamburg, Germany. You can follow him on Instagram and Facebook.